Over the last 16 years of being employed here, I have fielded some of the most interesting questions that I would like to discuss with you on this subject. To make a long story short, depending upon where you are towing generally will have a HUGE variable on how long your trailer hitch will last. Take into consideration that the hitch is located at the rear of the vehicle and is subjected to anything that passes by or rests upon it. Examples would be snow, salt, rocks (pebbles) and other debris that can damage the finish and cause rust, a trailer hitches worst enemy. I ask, how well is the material holding up/looking? 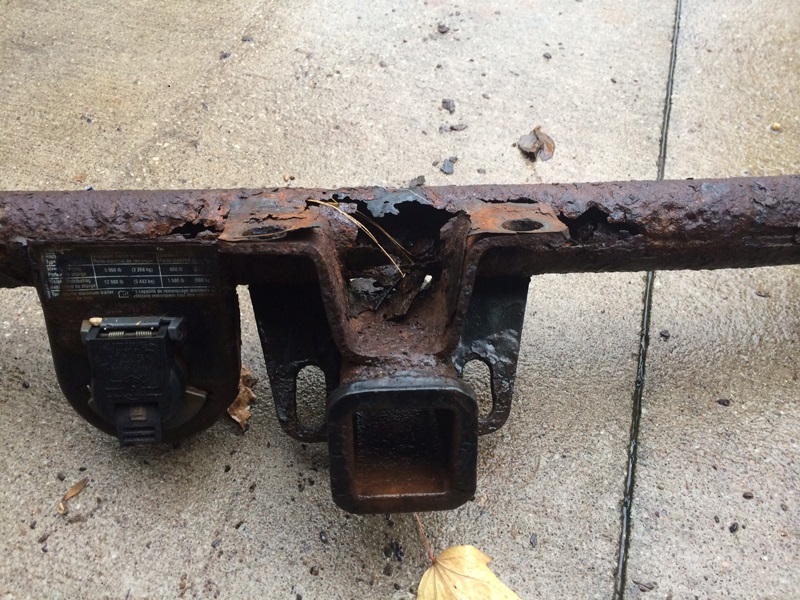 Believe it or not…trailer hitches generally will rust from the inside-out due to oxidization and it may be difficult to see under the vehicle to make your final decision if you need to replace it. To put things into perspective, think of it like this - It’s like your tow vehicles’ paint job. When the paint job is damaged by a rock ding, the rust predominantly starts from the inside out. So saying that, when your hitch has paint that is flaking away (dead giveaway) and is showing noticeable rust underneath the paint job, that is when you may need to replace it. Also, look at the connection points along the frame. That is where a hitch may fail, too. So my best suggestion is when in doubt, REPLACE IT. It is not worth affecting the lives of yourself, your family or other commuters on the road. Also, before I sign off I want to offer you a quick tip. When you are NOT towing, REMOVE the ball mount from the receiver so it doesn’t fuse itself into the trailer hitch. One good season of snow/rain will rust it together, believe me. I have heard this from numerous customers that ask me “how to get it out?” and my only answer is to replace the hitch.